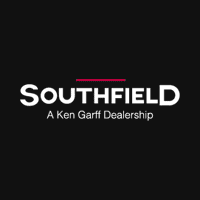 Lease Turn-In Headquarters | Southfield Chrysler Dodge Jeep Ram " "
Southfield Chrysler Dodge Jeep Ram is your Lease Turn-In Headquarters! Turn in your current Chrysler, Jeep, Dodge or Ram lease right here at Southfield Chrysler Dodge Jeep Ram. We accept lease returns from Ally Bank, US Bank plus many other financial institutes–even if you have leased yours from another Chrysler, Jeep, Dodge or Ram dealer anywhere in the country–when you sign a new lease with our dealership. We offer 360 degrees of customer protection. We will take pictures of your exterior and interior and provide you a complete detailed inspection report. Why is this important? Many times a customer’s vehicle may be damaged at the auction or while transported to the auction. With our detailed inspection and the photos to back it up, we will have proof of the condition at turn in. No other dealer does this for you! We also have many options available to help decrease your burden with any costs you may incur as a result of damage or overages on your turn in. Our experts can assist you in making an intelligent decision on what to do about the items that you may or may not be held responsible for in your contract with Ally Bank and US Bank. Need to service your lease? Our Collision Center is here to help repair and service your leased vehicle. We make it easy to maintain your lease and ensure that it’s in the best shape possible for not just the entire length of the lease, but for when you’re ready to turn it back in too. We offer discounts on repairs that could save you hundreds of dollars on Collision Center repairs and will work with your insurance company when applicable. Schedule an appointment online or give our Collision Center team a call at (248) 455-6637 today!